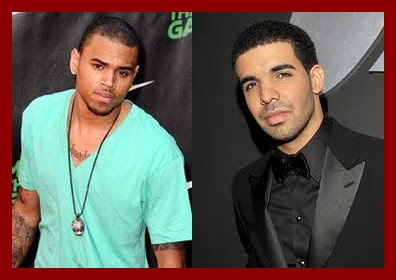 Chris Brown and Drake have been offered $1 million each to continue their feud in the boxing ring . Celebrity Boxing promoter Damon Feldman revealed billionaire Alki David has offered to pay out the huge sums and give another $1 million to charity if they take part in a public fight. He told the New York Daily News newspaper: "Obviously they have a grudge. It's just three one-minute rounds. No one will get seriously hurt." He said the pay-per-view event could be in Las Vegas or Los Angeles with a target date of Aug. 25. Feldman said he’d like Rihanna to participate in the proposed punch-fest. A Chris Brown representative replied that the singer's camp has “never heard” of the offer. The music stars have been at war over Rihanna, who had a fling with Drake after splitting up with Chris when he assaulted her three years ago. The singers have been linked to a police investigation since their alleged feud left at least eight people injured following the melee inside Manhattan’s W.i.P. nightclub June 14. I can't wait for this, its really gonna be fun.